Echoing John Piper’s famous “Farewell Rob Bell” tweet, one author even wrote an article titled “Farewell Francis,” expressing the long-overdue need to write Chan off. In a half-hearted attempt to save face, however, after much criticism from broader Evangelicalism, Chan responds to his critics and tries to defend his indefensible actions. (Jeff Maples – Reformation Charlotte) What do you get when you cross the Cows of Bashan with LifeWay’s incessant need for cash? Beth Moore. 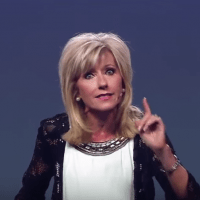 Beth Moore has poured out more spiritual poison into more Southern Baptist women than any other false teacher in the history of modern Evangelicalism. And not only is she single-handedly responsible for leading untold numbers astray, but you can find her within arm’s reach of pretty much any other false teaching on the planet.